In his autobiography, Miles writes, “That spring of 1961—April I think it was—I decided to drive out to California, for a gig in San Francisco at the Blackhawk. I had been playing at the Village Vanguard when I was in New York, but the music was starting to bore me because I didn’t like what Hank Mobley was playing […] This was about the time I started playing real short solos and then leaving the bandstand. […] So I decided that I would drive to California, just to cool myself out; go through Chicago and St. Louis and then out to California before the band got there.” Columbia had installed sound equipment at the Blackhawk; it was also the first time that Miles had recorded in public for release. He seemed to welcome this opportunity. Clearly, while the mikes were off, he held back on his playing, but as soon as the tapes were on, he improvised generously. This is especially evident on this 2003 version, which restores, for the first time, each of the two evenings’ sets in their entirety (notably, with no cuts within each piece), and in chronological order. Disc 1, tracks 1, 2, 5, Disc 2, tracks 1 and 2 were originally released on CS 8469 in edited versions. 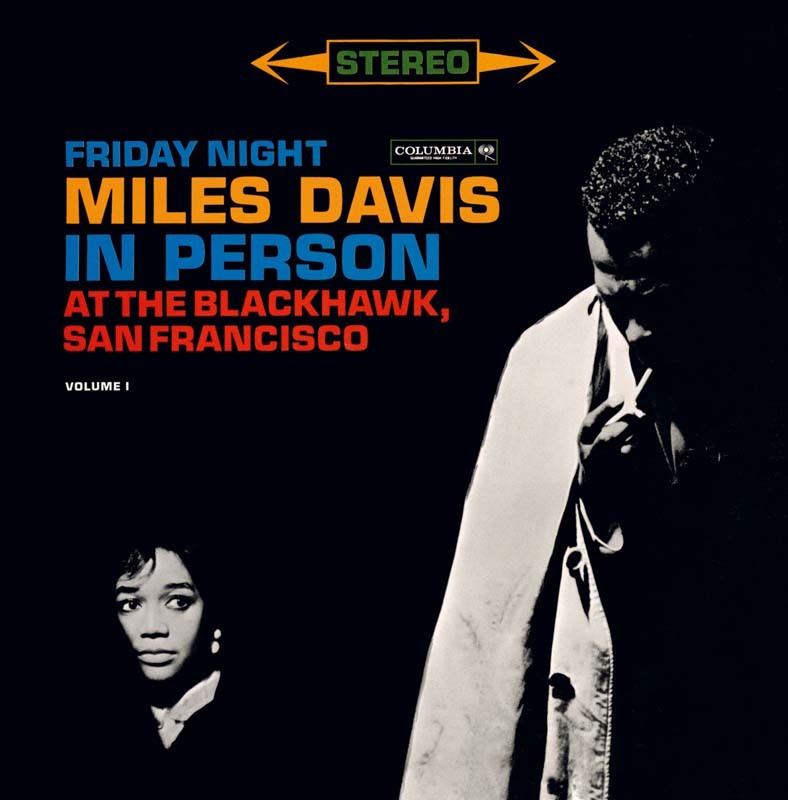 Note 2: When the Blackhawk material was first issued in 1961 the two single LPs CS 8469 and CS 8470 were called Miles Davis In Person: Friday Nights At The Blackhawk, and Saturday Nights At The Blackhawk. These titles were erroneous and misleading since all of the recording took place on just two nights, Friday April 21, 1961 and Saturday April 22, 1961.